Oscar-winning director casts newcomer Suraj Sharma as beloved tale's young hero in the upcoming film based on the international bestseller; "Life of Pi" commences 3D photography January 2011 in India and Taiwan for a Dec. 14, 2012 release. FROM 20th CENTURY FOX: After a worldwide talent search, Academy Award®-winning filmmaker Ang Lee (“Brokeback Mountain”) has cast newcomer Suraj Sharma in the iconic title role in LIFE OF PI. Fox 2000 Pictures president Elizabeth Gabler made the announcement today. 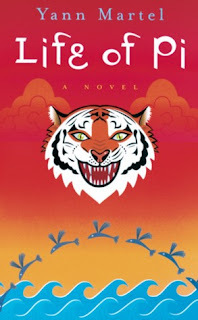 Lee, whose many other honors include an Oscar nomination for his direction of “Crouching Tiger, Hidden Dragon,” and whose “Sense and Sensibility” was a Best Picture nominee, will shoot LIFE OF PI in 3D, utilizing groundbreaking techniques to capture the story’s epic scope. The film is based on Yann Martel’s beloved book, one of the biggest publishing events of the past decade. The book has sold over seven million copies worldwide (and continues to sell over 1,000 copies per week), won the prestigious Mann Booker Prize, and was a New York Times bestseller for over a year. Since Ang Lee came aboard the project at the end of 2008, he has worked to create a singular vision of Martel’s unforgettable tale. The all-audience experiential movie event will take us through a young man’s incredible adventure – at turns thrilling and spiritual; joyous and harrowing; humorous and tragic. Audiences will follow Pi Patel as he travels from an exotic zoo in India on a voyage across the Pacific, where he survives a shipwreck and is cast adrift in a lifeboat with a Bengal tiger as his only company. Adrift in an endess expanse of ocean, Pi struggles to survive and train his companion, landing on a magical island that offers the two their only respite on their desperate journey. Suraj Sharma, 17, is a student who lives with his mathematician parents in Delhi, India. He has no previous acting experience and was cast following an extensive, months-long search. Over 3000 young men auditioned for the part. 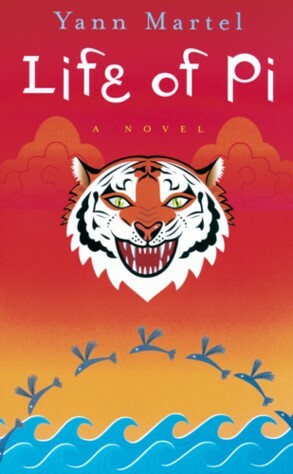 LIFE OF PI begins production in January in India and Taiwan. Twentieth Century Fox releases the film December 14, 2012. David Magee (“Finding Neverland”) adapted Martel’s book. Gil Netter (“Marley & Me,” “The Blind Side”) is producing. The director of photography is Claudio Miranda, who collaborated with David Fincher on several films, including “The Curious Case of Benjamin Button.” Miranda recently shot “Tron: Legacy” in 3D. Avy Kaufman is the casting director. Commented Ang Lee: “It has been a daunting and exciting process to develop a motion picture that brings Yann Martel’s fascinating, mind-boggling story to the big screen. Casting the sixteen-year old Pi was particularly challenging. We searched throughout India for a young man who had the innocence to capture our attention, the depth of character to break our hearts, and the physicality needed to embody Pi on his journey. One of the world’s largest producers and distributors of motion pictures, Fox Filmed Entertainment produces, acquires and distributes motion pictures throughout the world. These motion pictures are produced or acquired by the following units of FFE: Twentieth Century Fox, Fox 2000 Pictures, Fox Searchlight Pictures, Fox International, and Twentieth Century Fox Animation.